Why not a new Adult Community Center in Longmeadow? I will start by saying I am an elder resident of Longmeadow, and this article IS biased. Longmeadow will be voting once again for a new Adult Center in Longmeadow at the Town Meeting on May 8th. 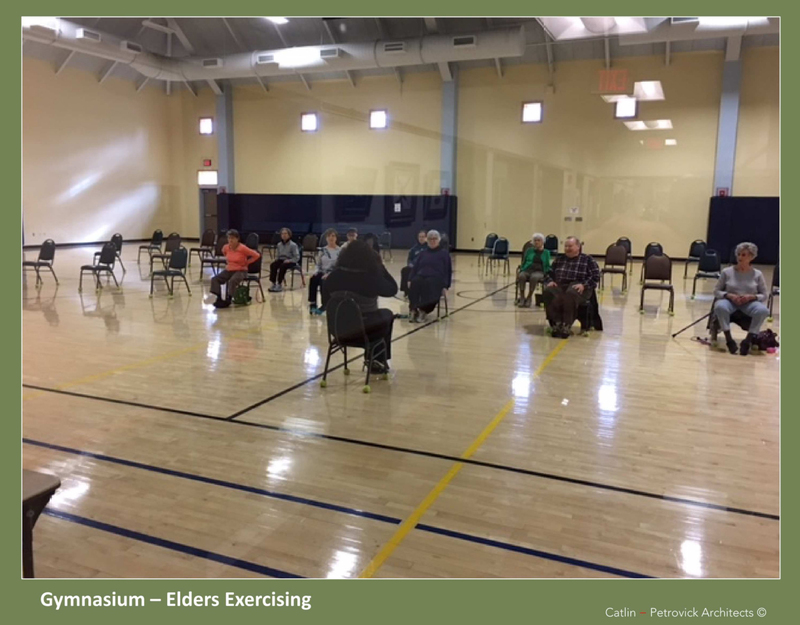 At two past town meetings, the voters rejected proposals for a new center ONLY because they did not support the location, and certainly not because the voters did not recognize and support the needs of our older residents. In fact, last May the voters overwhelming supported a warrant article to fund architectural fees to build a new Adult Center at Greenwood Park in the amount of $250,000.00. The voters recognized the current facility was not only inadequate to meet the existing needs of our elder residents, but also recognized the large demographic shift taking place not only in Longmeadow but across the country. As of this writing we have 4,509 residents over the age of 60, and 2602 residents between the ages or 50-60. Today elder residents represent close to one third of our town’s population, and in ten years could be close to forty-five percent. I think all of us agree that we need to address the needs of this population. The existing senior center is located in an elementary school at Greenwood Park. Constructing a new senior center at Greenwood would provide much needed additional space, implement appropriate ADA regulations, provide privacy for the town nurse, Veteran’s agent, director, and social services co-ordinator. The new center could accommodate the growing elder population. It has been shown when a new center is built by a city or town, the daily attendance doubles. Many people believe that the building is functional. In fact the building is not only NOT functional for elders use, but is unsafe and does not meet basic ADA requirements, with 15-20% of the users having disability issues. Clearly it is not functional for elder use. The facility lacks privacy for counseling, no reception area, hallways are too long, poor lighting, lack of adequate recreation space, lack of meeting spaces, poor heating , and no central air conditioning. It is true that the proposed new Adult Community Center building that has been designed by Catlin-Petrovik Architects is perfect. It meets all of the existing and future needs of our elders. John Catlin is THE leading architect for senior centers with both breadth and depth of knowledge of what our elders need in a facility. The design also includes a new gymnasium with a cantilevered running track which would provide wonderful space for sports activities of all ages throughout the year. Additionally two outdoor pickleball courts are included in the cost of the new center. The gymnasium would be available everyone. Basketball , volleyball, the high school track team, as well as pickle ball could all enjoy this gymnasium. Even teams like soccer and lacrosse could exercise and practice in there during the winter months. It should be pointed out that when the most recent proposal for Bliss Park was being considered, a gymnasium was included in that plan as well. This gymnasium would be used more hours by the under 60 population since it would be available till ten in the evening, and on weekends, scheduled by Parks and Rec Department. It has been said that the town of Longmeadow has the highest tax rate at $24.31 per mil, in the state. It should also be noted that other small towns, like Shutesbury, Greenfield, Wilbraham, Adams, Amherst and Pelham are also in the top ten. This is very typical in western Ma towns due to the lack of industrial and commercial properties. It should be noted that when arranged by actual residential property tax bills, Longmeadow ($7,977) ranks 43rd in the state. In fact discussion of our tax rate has no bearing on either our Moody’s rating, or the limitations our Select Board have established to make every effort to abide by Prop 2-1/2. Out of the operating budget of the town, this year the existing senior center will be allocated a yearly budget of $156,000. Clearly, there exists no parity between the expenditures for our other residents and what is spent on services for our elders, and yet our seniors bear the brunt of the costs for the schools and operating budgets of other departments. The initial breakdown between the cost of the new Adult Center was $9.6 million, and the cost for the new gymnasium $4.3 million. According to the prior architect, the Turner Park/Dietz Greenwood proposals were to be $8.3 - $9.4. without a gymnasium. Assuming even a 7% construction cost increase which is conservative, we are well within the numbers previously discussed. If the town continues to delay this project the costs could increase significantly more as there is no doubt that commercial construction industry is enjoying a significant rebound over the past few years. I will add that are other senior centers like those in Holyoke, Chicopee, Springfield, Agawam, Natick, Wellesley that will all “out gleam” our center,with Falmouth and Scituate also in the construction process right now. That being said, at no time was the architect instructed, at least to my knowledge, to design a building that would be dull, cheap and boring. I cannot imagine either the Town Manger or Select Board giving this directive. It will be a beautiful addition to our town facilities meeting the needs not only of our elder residents, but also town wide citizens interested in participating at an in- door sports facility. 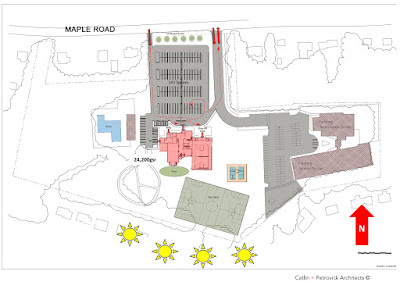 I will additionally add that there are no “extra’s built in to this Catlin plan as it relates to the Adult Center. In fact, there are room areas that smaller than originally designed, and one room was actually eliminated. The multi purpose room was made smaller, all to keep the project at a reasonable cost, while at the same time giving the rest of the town’s residents something that is very much needed by our youth and younger adults. The Longmeadow Building Committee unanimously recommended this project to the Longmeadow Select Board. In conclusion, at our last three town meetings our residents were very vocal that they are willing to support a new adult center at Greenwood Park. On May 8th, we will have the opportunity to vote this through to the June ballot. Please show up and vote in favor of this facility that will met the needs of our elder residents both now and in the future. It is simply time.